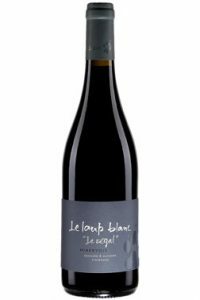 A perfectly balanced organic blend of Grenache (50%), Carignan (40%) and Syrah (10%). Unoaked, the nose delivers ripe, slighty jammy, red berry scents. Medium bodied, good concentration surprising acidity and velvety tannins shine in this elegant Languedoc red. Works well with a veggie pizza with a hint of tomato sauce.